Tyre pyrolysis plant in Australia is a very promising industry. That’s why more and more investors show great interests in our products. Our Australian customers visited us during the Canton fair before. Then we met again in Sydney Waste Processing Exhibition in August 2018. 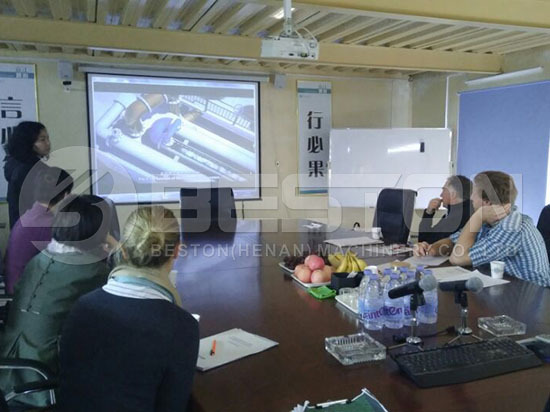 Then in the middle of October, they came to visit our workshop and check our test pyrolysis plant on site. 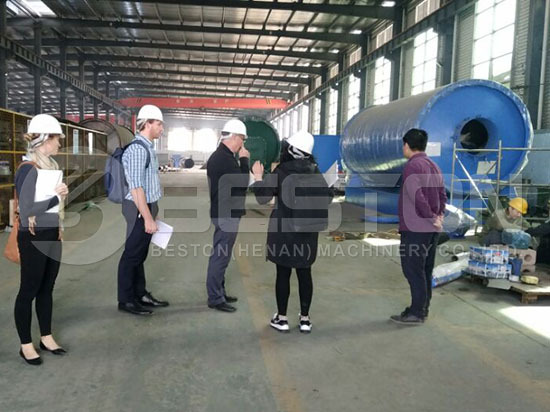 After visiting the factory and watching the product presentation, they spoke highly of our pyrolysis plants as well as the professional team from Beston. Especially, they show a great favour to the fully continuous plant. According to their demands, this plant will be used to process waste tyres. We are expecting to cooperate with them to set up a waste tyre recycling plant in Australia soon. Here are some precious photos with our clients. 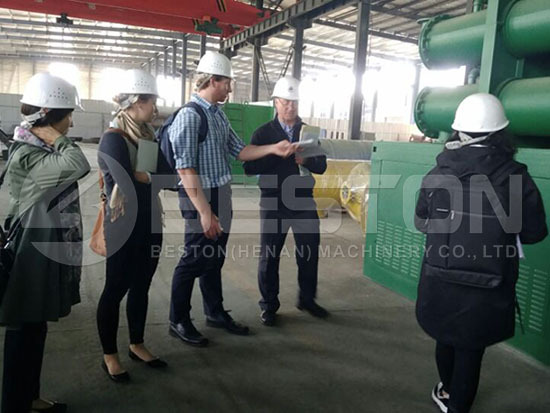 Beston Group is a trustworthy waste recycling machine manufacturer. And we always provide customers with top-quality products and service. We are looking forward to your visit!